Manchester City cruised back to the top of the Premier League after thrashing Southampton 6-1 at the Etihad Stadium on Sunday afternoon. The victory was built on three goals in the opening 18 minutes as Wesley Hoedt's own goal (6) was followed by Sergio Aguero's 150th Premier League goal (12) and David Silva's half-volley (18). Danny Ings' 30th-minute penalty gave Southampton temporary respite, but Raheem Sterling scored in first-half injury-time to restore City's three-goal advantage. The England international netted his second of the game in the 67th minute before Leroy Sane struck in injury-time to ensure Pep Guardiola's team move two points clear of Liverpool at the top of the table ahead of next Sunday's Manchester derby. Southampton defender Hoedt inadvertently started a flurry of first-half goals when he steered Sane's low cross into his own net from two yards with Sterling lurking in an offside position. Six minutes later, Aguero secured his landmark 150th league goal for City when he tapped in Sterling's low delivery from close range after good work from Bernardo Silva. City skipper David Silva scored the third in the 18th minute when Sterling's floated cross was half-cleared by the head of Jack Stephens and the Spaniard lashed in a half-volley. Southampton had not scored in their previous five Premier League games, but ended that run when John Stones was caught out by Ings and Ederson brought him down just inside the area. The striker coolly sent the goalkeeper the wrong way with his penalty. Pep Guardiola made one change from Monday night’s Premier League win at Tottenham, as goalscorer Riyad Mahrez was replaced by Leroy Sane. 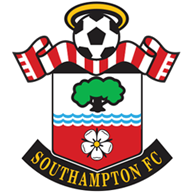 Southampton made three changes from the 0-0 draw with Newcastle as Pierre-Emile Hobjerg, James Ward-Prowse and Shane Long replaced Oriol Romeu, Mohamed Elyounoussi and Charlie Austin. But Sterling scored City's fourth with a low shot in the second minute of first-half added time when Cedric Soares tried to see the ball out of play and Aguero won the ball back to cross for his team-mate to score. Southampton forwards Ings and Shane Long had chances after the break, but Sane hit the post with a fierce effort before Sterling scored the fifth on 67 minutes, receiving the ball from Aguero and shooting low across Alex McCarthy. Sane completed the rout in injury-time when Sterling found him on the edge of the area and he cut onto his left foot before shooting past McCarthy to move the champions top of the pile in style. Manchester City are unbeaten in their last 43 Premier League games when kicking off at 3pm (W37 D6). Southampton are winless in nine games at the Etihad Stadium (D1 L8) since winning their very first game there in April 2004. Manchester City have scored five or more goals in a single Premier League game for the 12th time under Guardiola. Ings' penalty for Southampton was their first goal in 505 minutes of Premier League football, and subsequently ended Manchester City's run of 630 minutes without conceding a goal in the competition. Aguero scored his 150th Premier League goal in his 217th appearance - only Alan Shearer (212 games) has scored 150 in fewer games in Premier League history. Sane has assisted 18 Premier League goals since the start of last season, more than any other player in the competition. Sterling scored his 50th goal in all competitions for the club in what was his 153rd game and 126th start. Hoedt has now scored two own goals in this season's Premier League, more than any other player in the division. For long spells, Manchester City were irresistible going forward and while all of their attacking players deserve credit, Sterling outshone them all. His two goals show how much his finishing has improved under Guardiola and he provided assists for both Aguero and Sane as well as influencing the early own goal from Hoedt. His tireless running off the ball ensures opportunities will always fall his way and he is emerging as one of the in-form players of this Premier League season. Guardiola described him as "so, so sharp" at full-time. Southgate was in the stands at the Etihad Stadium to witness a man-of-the-match display from Sterling, though Stones was at fault as Ings got the wrong side of him to earn Southampton's penalty and Walker looked to be struggling with fitness at times. Southampton goalkeeper McCarthy conceded six times, but could hardly be blamed for any of them and will hope the shaky defence in front of him won't damage his hopes of being in the squad which is named on Thursday. 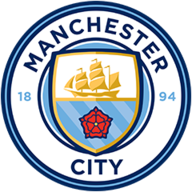 Manchester City host Shakhtar Donetsk in the Champions League on Wednesday evening before a huge Super Sunday showdown against Manchester United at the Etihad Stadium next weekend, live on Sky Sports. Southampton are at home to Watford next Saturday afternoon in the Premier League.